Enhanced Steam Translation Project is Moving to Crowdin! Our previous translation page was really great in helping people get engaged and interested in helping translate Enhanced Steam, and Smashman did an amazing job in creating it. In fact, of the 26 languages that Steam supports, Enhanced Steam is now available in 20 of those with the other 6 having partial translations available. However, Crowdin offers some incredible features and I believe this change will help improve the available translations, make translating new items even easier, and will let me enlist the help of our most trusted translators to oversee the future translations made in their language. I’d like to go over a few of the new things you can expect to see if you’re interested in helping out with translating Enhanced Steam. 1. Voting on existing translations: Users will now be able to vote on existing translations, thus further strengthening or weakening our confidence that the translation that we have is correct. This means that even if something has already been translated but you think it’s incorrect, you can let us know without needing to provide an alternate translation. 2. 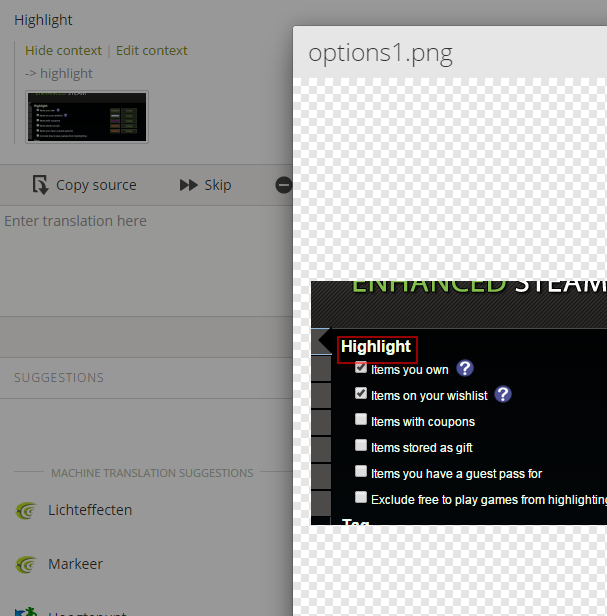 Screenshots: Users who wish to translate Enhanced Steam will now be given a screenshot of where exactly that text is used in the extension. This should help give more context which in turn should result in better and more accurate translations. 3. Role based permissions: Crowdin provides several different roles, any of which can be assigned to any particular language. This means that a trusted user can be assigned as the manager of a particular language who will have the authority to accept or reject newly proposed translations. 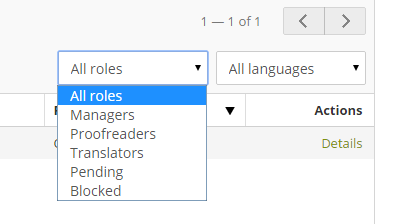 This will save me (as the “not even bi-lingual” developer) a lot of time because it means I’ll be able to delegate the task of approving new translations. 4. The ability to hide or delete translations no longer in use: currently when we retire a feature we have no way of deleting the existing string and it’s translations. Within Crowdin, it’s possible to hide or delete entries for translations which are no longer being used. This means that less time is wasted translating outdated info that will never be seen. It also means that the compiled translation files will be smaller. 5. Activity feed and per-language discussions: Crowdin’s system lets you see an activity stream for your language , as well as discuss translations with other translators. 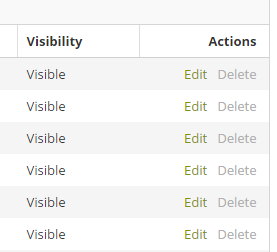 There are lots of other features that Crowdin has such as reports, paid translations, a web API and more. If you’d like the help out, you can create a free Crowdin account and visit http://translation.enhancedsteam.com to get started.